A popular trend that has lasted a while now is feathers. 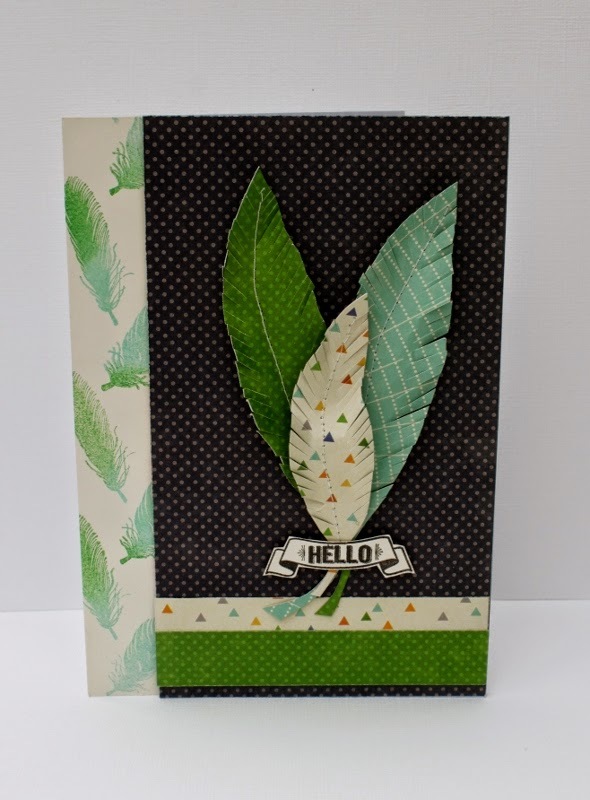 They are a fun addition to any card and on this example I added them in two different forms- paper feathers from Jillibean Soup Cool as a Cucumber papers and stamped feathers and sentiment from new Hampton Art Vintologie stamps and stencil sets. 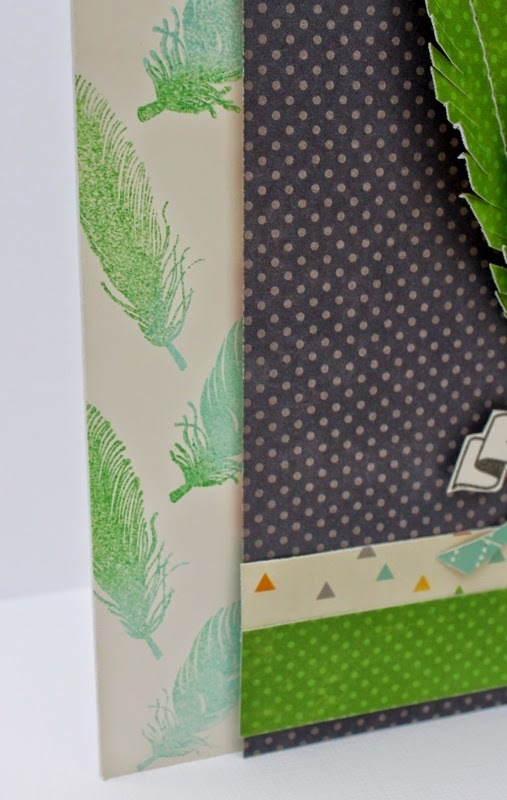 This card began by using a cream color cardstock as a base to allow for detailed stamping of the beautiful feathers found in the Vintologie Stamp and Stencil set #SC0648. When stamping the feathers I used two different pigment inks to give a bit of ombre effect, achieved by adding the lighter blue then adding the bolder green last. Then I added a dark grey mat base on the right of the card with two border strips, all from the new Jillibean Soup Cool as a Cucumber collection. Then I freehand drew the feather shapes onto three coordinating papers and using the sewing machine sewed the center lines down each. Last I used my scissors to fray the edges as shown to make them look more like the real thing. 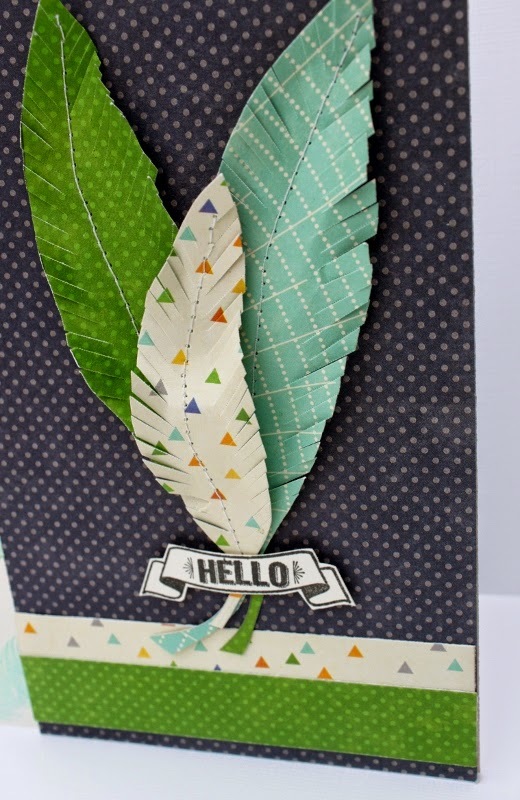 Once complete I had an everyday greeting card with a trendy feathers theme, so easy to create.